If You Smoke E-Cigarettes, Do You Know How TPD Will Affect You? I’m a ex-smoker – the worst kind. I’ve been there, done it, quit and will pontificate on the joys of not smoking to anyone who is foolish enough to listen. If I close my eyes I can still remember my very first cigarette, aged 11 – a pilfered Silk Cut, stolen from the packet of my friend’s mother. Out of the budget but, still in the fight! British American Tobacco has published what it calls the first practical guide to the allergy-safe use of ingredients, such as flavourings, in e-liquids. In a press note issued yesterday, the company said that, as with the use of many flavouring or fragrance-containing consumer products, ‘vaping’ e-liquid had the potential for causing an allergic reaction. The vaping community may be surprised to learn that the propylene glycol found in the e-liquids of most vaping devices helps ward off the bacteria known to cause meningitis, according to published research. But the good news does not stop there. Some good news for the vaping industry late Monday. 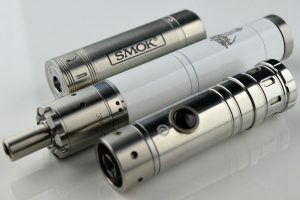 The U.S. Food and Drug Administration has given manufacturers of electronic cigarette equipment a three-month reprieve from registering their products. Vapor products are potentially the greatest public health advancement in the effort to combat smoking-related deaths in modern history. Despite an overabundance of distorted and misleading information, the science is clear: responsibly manufactured vapor products are a safer alternative to traditional combustible products, and they provide many individuals with a viable path to reduce tobacco smoking and even quit altogether. One is a product that produces more than 10,000 chemicals, including more than 60 known human carcinogens, and kills more than 400,000 Americans each year. The other is an alternative, much safer product that produces minimal exposure to carcinogens and has been shown to reduce carcinogenic and respiratory health risks. A factsheet to help the community understand and comply with the new laws about e-cigarettes products commending 1 August 2017. Patients are asking their chest physicians about using e-cigarettes to quit smoking, but those physicians are divided about whether the products do more harm than good, according to a Yale-led study. The finding demonstrates the need for more research on e-cigarettes that will help physicians counsel their patients who smoke.